Association of Community Organizers for Reform Now (ACORN) leaders are using the threat of a law suit to silence and intimidate critics, according to current and former members of the liberal activist group. In a letter dated June 11 an attorney for ACORN advised top whistleblowers that their unauthorized use of the organizations name could make them liable for monetary damages and injunctive relief. ACORN executives have also changed their organizations name, which was tarnished by investigations in at least 14 states of allegations of voter registration fraud during the 2008 presidential campaign, and charges by current and former members of financial mismanagement and misrepresentation. The new name will let ACORN leaders continue their operations without worrying about prior bad publicity, according to Marcel Reid of ACORN 8, a group of present and former members. Reid also said ACORN is in the process of dismantling Citizens Consulting Inc. (CCI), a New-Orleans based non-profit, which has been used to maintain centralized financial control, ACORN 8 activists claim. Tax records show that CCI is interlinked with several ACORN affiliates. Dale Rathke, the brother of ACORN founder Wade Rathke, embezzled almost $1 million from the organization in 1999 and 2000, while he was employed as the organizations chief financial officer with the CCI affiliate. For almost a decade Wade Rathke and other staff members concealed the embezzlement from ACORNs board of trustees, according to the criminal complaint ACORN 8 members filed against the organization. ACORNs national leaders withdrew a lawsuit Reid filed with fellow board member Karen Inman last October seeking access to internal financial records. Reid and Inman were also expelled from their board positions; a move they say was illegal. Reid and Inman then came together with six other colleagues to form ACORN 8. 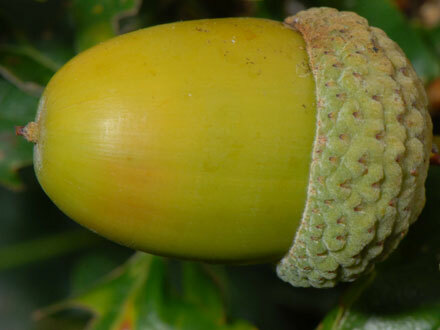 ACORN has to be decapitated, Reid said. The senior staff and current national board should be dismantled. Arthur Schwartz, the general counsel for ACORN, has sent a cease and desist letter to Reid and Inman instructing them to discontinue using the name ACORN in a connection with their activities. This same letter threatens legal action if the ACORN 8 members do not provide written assurances that they will comply with this demand by the end of June. Meanwhile, ACORNs Project Vote affiliate has filed suit against Anita MonCrief, a former employee, who has testified under oath on voter registration allegations. ACORN is currently under investigation in at least 14 states for electoral irregularities. The Project Vote suit claims that Anita MonCrief and an unidentified accomplice gained access into private e-mails from group executives and stole the groups name without permission. It also accuses Moncrief of using a company credit card for her own purposes. ACORN is attempting to silence me, and the allegations in the lawsuit are false, MonCrief said in statement emailed to The Examiner. ACORN 8 has released its own statement on whistleblower retaliation through its national spokesman Michael McCray that expresses support for new protective legislation. ACORN 8 has endorsed H.R. 1507, the Whistleblower Protection Enhancement Act of 2009. Am I the only one that doesn’t think they’re going to disappear quietly into the night by simply changing their name? Like roaches in a suddenly lit back room. You can run, but you can’t hide. I prefer to think of them as “Community Organizations International Networks” or COIN for short because it really is all about the money. Thank you, I couldn’t clean it up that well. I’m going to refer to them as ACORN/COI from now on so that no one will forget who they are. So... Um, WHERE do I need to go to set up my new brothel now? I don’t want to pay taxes on it and I need a good loan. COI? Ok, thanks. ObamaCOM, ...Community Organizing Mob. They are the street thug wing of the NeoComs, criminal punks plundering taxpayers, scam slime, slithering into our Democratic system to break it down. So does that bill: Johanns Amendment Passes 83-7 includes COI? Can someone pass that to Glenn Beck please. LOL, I’ve never understood the appeal of those fish. But that picture is a perfect metaphor for this organization. ACRIME has a nice ring to it?? The Catholic Campaign for Human Development, run by the bishops, which has funded pro-abortion political candidates, ACORN, and lots of ACORN-like organizations, didn’t stop funding ACORN until the embezzlement came to light. All the radicalism, Communism, pro-abortion activism—that was hunky-dory to the left-wing bishops who have always maintained control of the bishops’ conference in Washington.